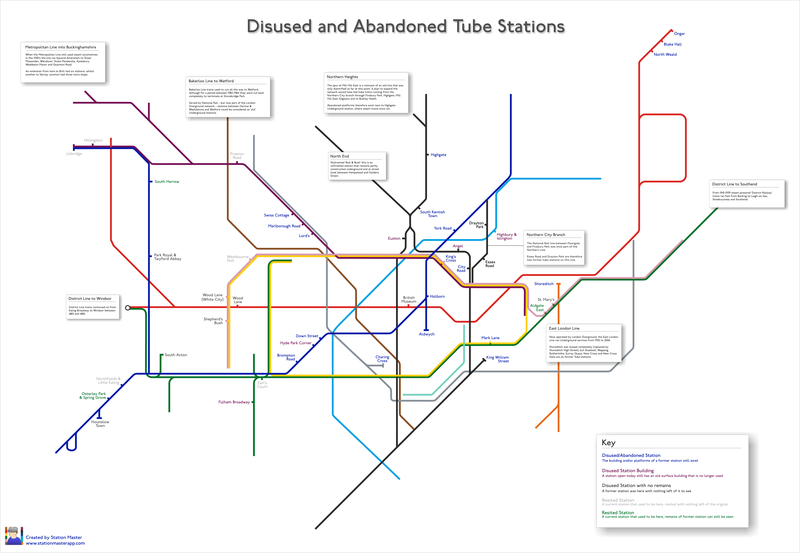 A while ago, Us vs Th3m published a much-shared alternative tube map showing abandoned (or 'ghost') stations on the London Underground, put together by Dylan Maryk. Our resident transport geek and Tube Challenge record holder Geoff Marshall was working on something similar, and has now put together a simpler version that corrects a few errors and adds on surface buildings that you can still see, like the former Hyde Park Corner entrance. See the key in the bottom-right corner for more details. With assistance from Ben Pedroche, author of Do Not Alight Here. 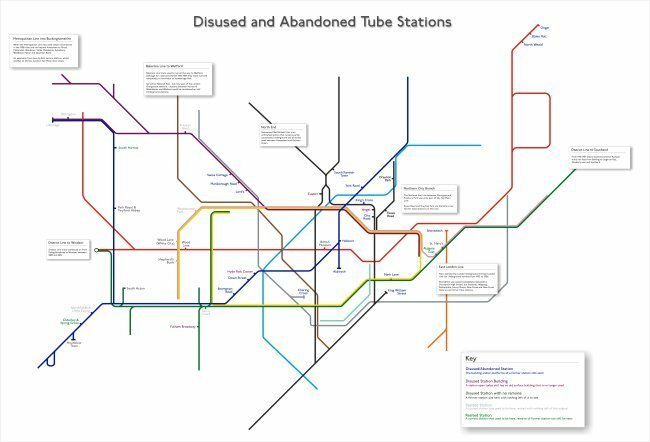 See our full list of alternative tube maps.